Social media and its many platforms have made it easier for anyone and everyone to have a voice – and brands are paying attention. There are a slew of contest out there that want your Tumblr, Tweets, and more, so what’s stopping you? 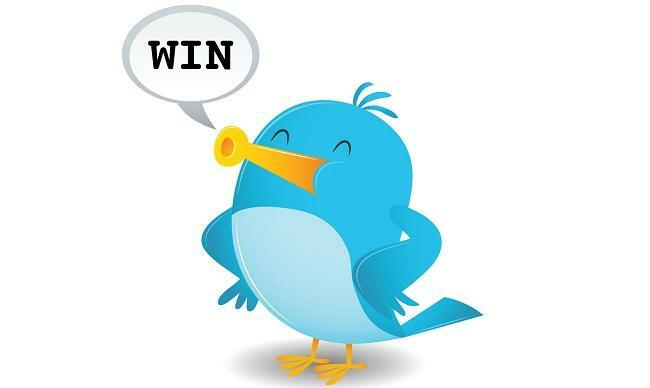 Check out all the social media ways you could win big this week. If you’re trekking the globe, you’re probably bringing your camera along with you. Skype wants you to revisit your travels by asking you to submit your travel photos in a Pinterest contest. If you need some help, Skype offers a few default photos that you can repin. Follow Skype on Pinterest, create a board titled “Skype: A World of Possibilities” showcasing you on your travels around the world. Note that you’ll have a better chance of winning if you pin original photos. The Prize: $3,000 Intrepid Travel trip Voucher, to pay for your trip, and a U.S. $2,000 Intrepid Travel airfare Voucher, to pay for your airfare. If you don’t end up winning the grand prize, you’ll still have a shot at a year Skype Unlimited World subscription voucher code. KFC is promoting its Original Recipe Boneless chicken that it calls “revolutionary.” KFC has launched a social media campaign with the punchline “I Ate The Bones!,” and a Facebook app to boot. So you have a shot at $1,000 and “a chance to be featured in a KFC online or social media advertisement within the next year” … but you’ll have to give up a bit of your dignity if you’re looking to participate. KFC wants you to submit a video or photo with the best “I Ate The Bones” reaction, whatever that means. The submissions can be sent using Facebook, Twitter, Vine, or Instagram so take your pick. Just add the hashtag #iatethebones. If you don’t end up winning one of the five $1,000 prizes, you can settle for a weekly prize of t-shirts and KFC gift cards. The Prize: A “I Ate The Bones” t-shirt and KFC gift card, or one of five $1,000 grand prizes with the chance of showing up in an ad later down the road. The contest is run on Pinterest and powered by Curalate’s Promote, so you won’t have to be too concerned about the inconvenient steps you’d otherwise have to take to qualify for the contest. In this case, just click on the type of green initiative you’d put the cash prize toward from a pick of nine, and type out your info including name and email address at the bottom of the page. Then click on Submit, which will enable you to pin the image you’ve selected to your board. Some way, somehow, fashion is relevant to Kraft. That might explain the ripped shirtless guy posing with Kraft’s Zesty Italian dressing. Regardless of relevance (or lack thereof), StyleList and Kraft have partnered up to offer a $2,500 grand prize to one lucky winner. This is also a Pinterest contest, so there are a few steps you’ll need to take to participate. First type in your personal info like your name, Pinterest user name, email address, and phone number. Then follow StyleList’s Pinterest page and re-pin this promotional pin. The final step is to re-pin three of the thirty pins from the StyleList Sultry Summer Pinterest board. The prize isn’t really anything noteworthy, but it’s interesting to finally witness non-tech brands like Dunkin’ Donuts hop onto a rather new platform in the social media marketing toolkit like Vine. 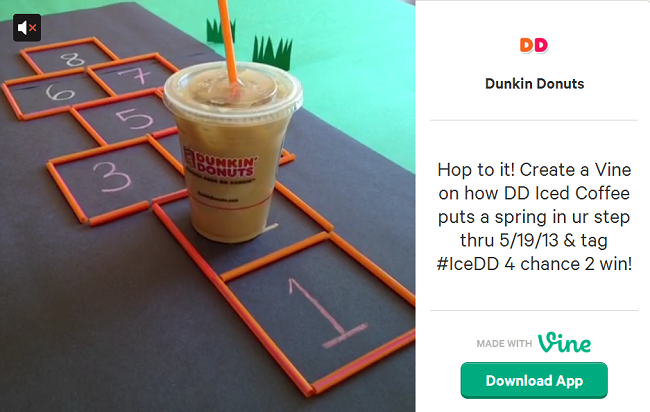 To enter, Dunkin’ Donuts wants you to “Create a Vine on how DD Iced Coffee puts a spring in your step.” And tag your submission with #IceDD so that its marketing team can find the submissions. There’s a long list of “can’t dos” so it’s probably worth reading over before you end up submitting your Vine. The Prize: The grand prize winner receives a one year supply of Dunkin’ Donuts Iced Coffee, worth a total of $1,095. Six first prize winners will receive a $100 Dunkin’ Donuts gift card.